What A Great Video From Kelsea. I Have Watched The Music Video For "Peter Pan" A Lot Of Times And I Just Could Not Keep My Eyes Off Of Kelsea. All I Can Say Is She Looked Very Lovely In This Video. She Really Rocked The Motorcycle Outfit And She Looks Very Gorgeous In That Red Dress. 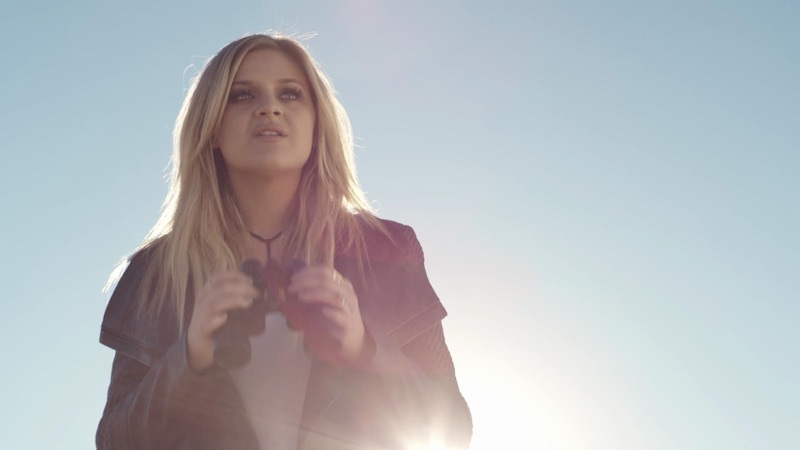 This Has To Be One Of The Best Videos Kelsea Ballerini Has Ever Done A Good Job With. She Is One Of The Best Talented Singers In The World. Kelsea, You Are One Of My Favorite Singers Of All Time In Country Music And I Mean That From The Bottom Of My Heart. Put your arms down, for heaven's sake! This song is fantastic but the video is so stupid I can barely believe it. Kelsea needs to stop putting her hands in her hair and on her head and on her face, it's ridiculous. No one does that -- and she just stands there in a gorgeous dress or two and keeps her arms up in the air, cut to cute guy flying a plane -- and the lame dialogue at the beginning and end of the video are totally unnecessary. I could have directed a much better video than this, especially for that song!!! Why don't videos ever match what the words to the song are saying??? ?